The England Handball Women’s National Shield 2018 finalists will be Reading Lionesses and Loughborough University after their convincing victories at the semi-final stage over London Angels II and Manchester respectively. 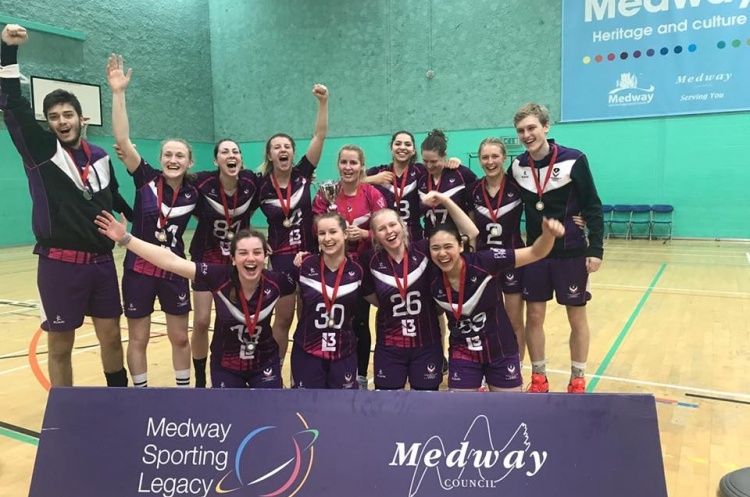 Loughborough University are having an impressive season, winning the women’s University Cup and Shield competitions, as well as their victory this weekend over Premier Handball League opposition. Loughborough also sit top of the Regional League Midlands, unbeaten in the league and with a staggering goal difference. In this match, Loughborough had a five goal lead at half-time, which became nine goals by the final whistle as they recorded a convincing 24-15 victory over Manchester. For the students, Victoria Costa Ferreira contributed nine goals including the opening four, and two at the death. Manchester’s reply came through Patrucya Jazocha, who netted four times. London Angels II welcomed Reading Lionesses to Barking Sporthouse in the second semi-final. Lionesses led by six goals at half-time, which turned into 13 at the full-time whistle as they ran out comfortable winners over the Londoners 13-26. Beata Nagy was again top scorer for the Angels, netting six times. But Lionesses were too strong for Angels, with Alina Popescu scoring nine goals and Einese Racz not far behind her with seven. Lionesses are having a fantastic season, sitting top of the Regional League South West in addition to their success in the Shield. The Shield final will take place on England Handball finals weekend in Derby Arena on 5/6 May 2018. Will it be Loughborough or Lionesses with their name on the trophy?